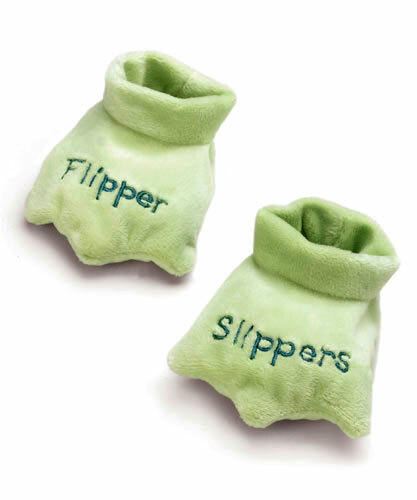 Home > Tadbit's "Flipper Slippers"
Frog flipper slippers are a favorite of celebrities, Tom Cruise and Katie Holmes. Adorable frog flippers bear the embroidery “Flipper Slippers” in froggy blue. Machine wash cold. Tumble dry no heat.